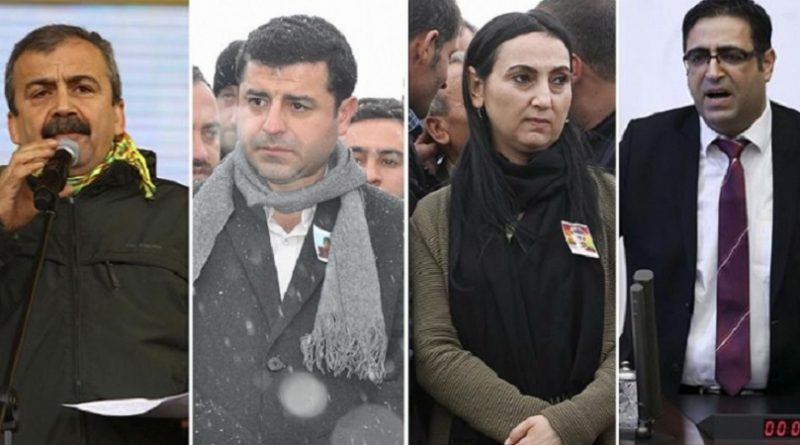 The International League of Peoples’ Struggle (ILPS) condemns in the strongest terms the arrest of parliament members and mayors belonging to the People’s Democratic Party (HDP) including the HDP Co-Chairs Selahattin Demirtas and Figen Yüksekdağ in police raids carried out in several cities in Turkey and Northern Kurdistan. The latest arrests are consistent with Erdogan’s hardline policy of crushing the Kurdish people’s struggle for national self-determination and democracy at all costs. Trying to put a veil of obfuscation on their continuing support for the brazenly anti-democratic Erdogan regime, the US and EU have again issued their utterly hypocritical “statements of concern” over the recent arrests. The fascist Erdogan regime is using everything in its arsenal against the Kurdish movement, terrorizing and massacring Kurdish civilians and destroying cities in North Kurdistan, using Islamist terrorists against PKK guerrillas in Syria, brutally dispersing peaceful demonstrations, closing down pro-Kurdish newspapers and television stations and arresting parliament members and mayors who are suspected of supporting the struggle of the Kurdish people for national self-determination and democracy. The Turkish fascist regime regards the liberation movement led by the Kurdistan Workers Party (PKK) as its most dangerous enemy. That is why it has used everything in its power to crush the movement. It has continued to keep the widely acknowledged leader of the Kurdish movement President Abdullah Ocalan in isolation. But the Kurdish people have remained steadfast. They are ever determined to use all forms of struggle, armed and unarmed, legal and parliamentary to achieve their legitimate aspirations for national self-determination and democracy. The ILPS ,an international alliance of anti-imperialist and democratic organizations, supports the just struggle of the Kurdish people. It is incumbent on all people who love freedom to support the struggle of the Kurdish people. The ILPS calls on all its member organizations throughout the world to condemn the Turkish authorities’ latest attacks on the Kurdish movement and express their solidarity with the Kurdish people in their just struggle for national self-determination and democracy through statements and actions such as pickets and demonstrations in front of Turkish embassies and its other foreign missions. Stop political repression in Turkey and Northern Kurdistan! Freedom to President Abdullah Ocalan! Freedom to all Kurdish political prisoners! Long live the Kurdish struggle for national self-determination and democracy!